Ashton's 'pop star welcome' in Ukraine Jump to media player Protesters are continuing to occupy Independence Square in the Ukrainian capital Kiev, as EU foreign policy chief Catherine Ashton is cheered by crowds on a visit to the protest site. 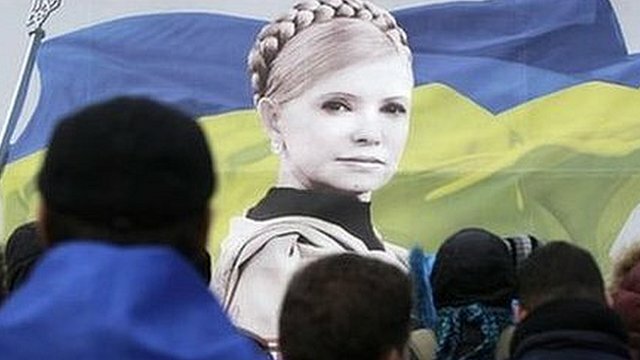 The Yulia Tymoshenko contradiction Jump to media player Amid the political crisis in Ukraine, jailed former Prime Minister Yulia Tymoshenko divides opinion between those who point to her embezzlement conviction and supporters who say she's a persecuted political opponent. 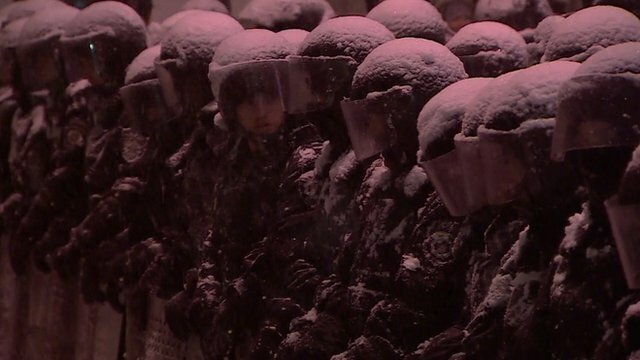 Ukraine police try to regain control Jump to media player Ukrainian police have begun moving against protesters in central Kiev, with some protest camps in front of government buildings dismantled. The BBC's Steve Rosenberg reports from the protest camps. 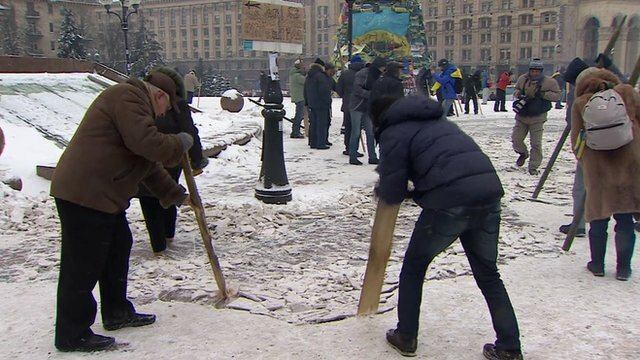 Inside Kiev's frozen protest city Jump to media player The BBC's Steven Rosenberg reports from inside the protest camp in Kiev's Independence Square. 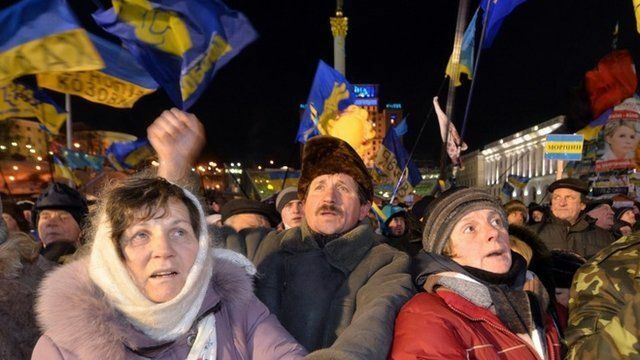 Several thousand protesters are continuing to occupy Independence Square in the Ukrainian capital Kiev. They are calling for fresh elections and for Ukraine to sign a political and trade deal with the European Union. EU foreign policy chief Catherine Ashton was cheered by crowds on a visit to Kiev's main protest site.